I’m pleased to announce that my new technology guide is now available for download HERE. 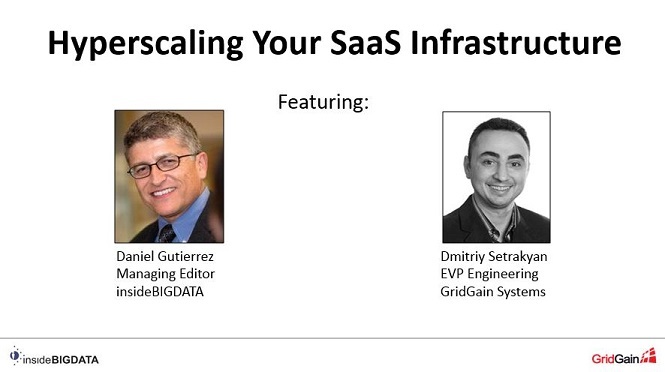 I was contracted to research, develop and write “insideBIGDATA Guide to Hyperscaling your SaaS Infrastructure” sponsored by GridGain Systems, Inc. The technology guide is targeted at Software-as-a-Service (SaaS) companies wishing to increase scalability and performance of their applications using in-memory computing with a specific emphasis on GridGain’s products and solutions.